Why not take advantage of the long summer days, daylight saving and climb in the evening and the coolness of Camels Hump? 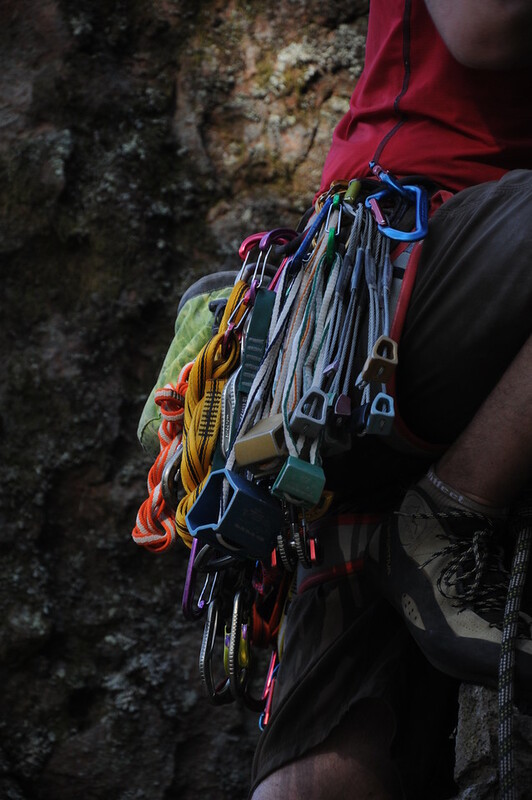 The plan is to start in the late afternoon and climb until dark at Melbourne’s premier summer crag. Some might even start climbing earlier. We will be climbing routes on both the Lower Cliff, and up on the Omega Block, at Camels Hump. 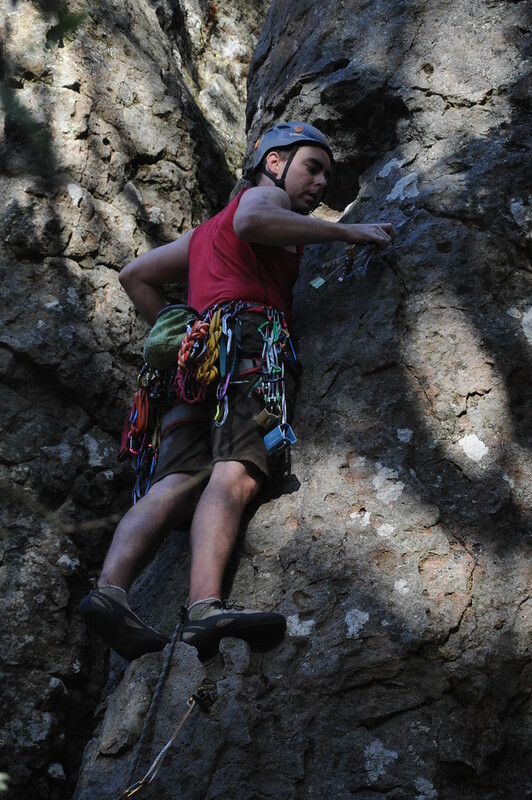 It is quite a user friendly crag in terms of the area at the base of the climbs and the ability to set up top-ropes on some of the climbs. If you intend to lead, bring along a few bolt plates as a few of the routes still have some carrot bolts for protection. While the Omega Block is home to plenty of harder sport routes, grades 21 and above, the Lower Cliff has a range of intermediate climbs. Michael O’Reilly and Ross Timms are the trip leaders. If you are interested in joining the VCC on this trip, please contact the Trip Leader, Michael O’Reilly, to secure your place. Beginner numbers will be limited. Photos are from the 2016 Twilight VCC Trip to Camels Hump: Jayden leading Grey Arête.